I’ve been meaning to go to San Francisco’s best kept secret for a few months now. Being the musical nit pick that I am, it took until last night. A mere 10 blocks or so away, this could well prove to become my second home. That is very much what it is – a lovingly crafted performance space that feels just like it was someone’s production oriented living room. I went to see Dominic East -1/3 of our very own Churches, with the idea of working that into our Chvrches coverage. Instead, I came away with a whole new respect and perspective on the power of the local indie scene. 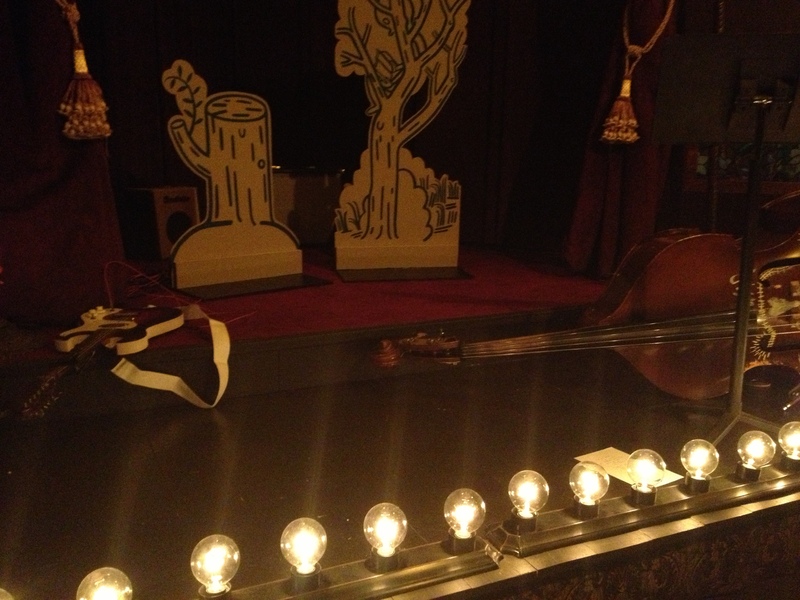 I’ve left the stage empty for now and will come back to the actual performance later. I’ve been disconcerted with my inability to see most of any of the bands that I’ve been covering and discovering (on a weekly basis). Part of the venue’s ethos is to provide “music good for the soul’. Walking back home down the 16th Street and Castro night club corridor put into perspective just how badly I needed to go. I’ve decided to continue to venture forth locally to uncover and share the ‘hidden’ talent right at my door step. Technically, we’ll create a separate section, page or even a twin blog. As I venture forth I will, of course, become known as the Scottish music guy and that leads to the second part of the post. 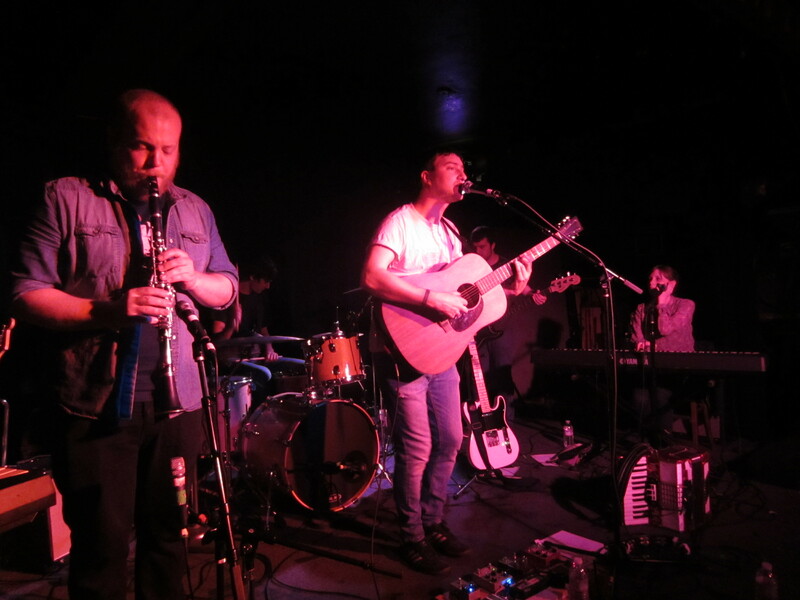 While cleaning up the blog (adding tags and categories) I realized I had never posted an intended live review for Admiral Fallow who came to town back in October. This is the point to stop me from dredging forth knowing them since they were called … I was so excited about finally getting to see them,I didn’t give a second thought to matters like attendance. It never occurred to me that I could have an impact. Obviously, there is a reason all my photos were taken from the side of the stage – there couldn’t have been 20 people behind me. I realized, to my shame that night, that it could have been within my power to do something about that. I imagine that the other reason it never went up was that I was waiting for some question answers that never did show up. It really is a foolish thing to hope that time could be found to write responses during a tour. Perhaps the just coined adage ‘ask not what your band can do for our blog but what can our blog do for your band’ is best kept in mind. Realistically, the answer right now is – not much. We don’t need to worry about Frightened Rabbit’s success at filling up the Fillmore. Even though compared to New York, the Chvrches ticket sales seem sluggish, I’m pretty confident that it won’t end up being like the last Aereogramme show there. Writing that is my tacit admission that we won’t likely get through their press publicity storm – let alone get a response back. The thing I was reminded of last night is that it doesn’t matter. I was reacquainted to a brand of American indie that I’ve unfairly been dismissive of due to my preference to the music of the U.K. I was also blown away by a local singer songwriter whose almost implausibly clever and beautiful turn of phrase should have him opening for Withered Hand’s next show. It is time to start working on making the flow of music go both ways and,as an additional consequence, I might just be able to make a difference for the next band that somehow manages to make it over here. The Scottish coverage, by necessity, will primarily be about recorded music. For the sake of my musical soul, the coverage of the local scene will be center about live performances and the performance space itself. For those readers who happen to find themselves in San Francisco, be sure to check out the calendar. Should something catch your eye, I can’t think of a single place that would provide a better evening out than the Lost Church. This entry was posted in Behind the Scenes and tagged SF-live.